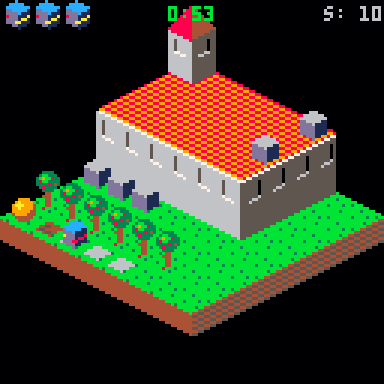 It's indeed pretty brutal :-) I'm loving the isometric art-style and the smoothness of the animations so far. I am still a bit surprised by the perceived difficulty of the game. I did expect and still hope that a few players will complete the game. There are some interesting levels towards the end, which hopefully will not be wasted design effort from my end. This is brilliant. I have only had a few goes so haven't got very far, but really well presented, and nice idea. You've done the right thing making it difficult. Nice! Totally going to try this out on my pico 8 pi in the living room this week. I found this via your low-res cart, but haven't tried the low-res one yet, I wanted to try "the original!" It's a really good game, but yes quite challenging! I got to level 4, and I'm having a tough time with that one! @gradualgames, yes, many players find Level 4 quite difficult. It's more difficult than I intended in fact. Having said that, it is quite easy once you've discovered the right path. Anyway, it's also the reason I added the ability to skip a level in the level selection menu. So you're never stuck on just one level. There are always two levels you can try and beat to unlock the next. How do you skip the level? I have tried many times to complete that one and I can't figure it out. From the level selection menu you can select the starting level. You can select any level that you already completed, plus the first two levels which you did not yet complete. So if you're stuck on level four, but completed level one to three in an earlier game, you should be able to start from level five. Does this not work for you? Ohh, Okay. I thought you had to complete the level once for it to be playable from the menu, and I was looking for a "Skip Level Four" button somewhere. Got it now. Thanks. I found a bug where the sprite for the pushable blocks glitches out somewhat in the Tea Party level. Man, I am loving this game so far. Great Job. On the one hand I would like to provide hints to players that want them. I already have a text file with hints, often even several hints per level. However, I do not know how to best provide them in game. There are several issues. For one, I do not want to spoil it for die-hard players who like the challenge and don't want any hints. Similarly, a more laid-back player may not want a hint "just yet", because she just had a breakthrough and wants to try out some ideas. Furthermore, it's hard to give the right hints. If I see someone play, it's easy to see where they are stuck and which hint would benefit them the most. 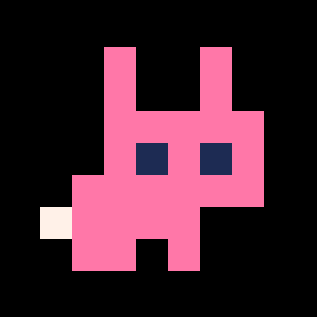 It's difficult to build this kind of AI into a PICO-8 game. Thirdly, the low-rez game is intentionally text-lite, so it can be easily played by players that do not know English well. I do not like to provide textual hints there. In the meantime, though, I am happy to provide hints on demand. I prefer not to do it here, as that may spoil it for some. 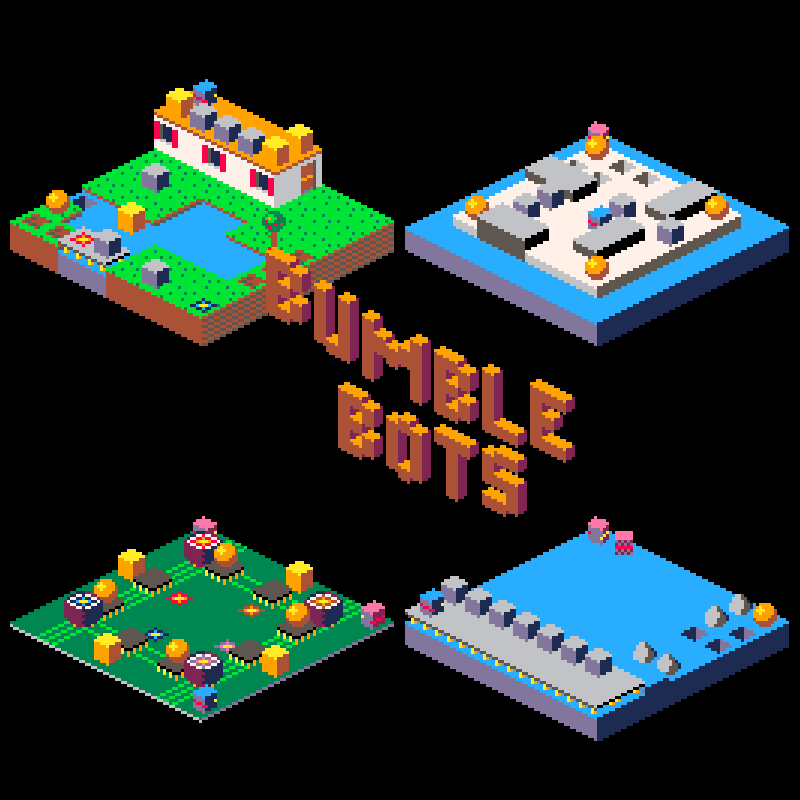 I therefore suggest to use the Bumble Bots thread on the PICO-8 subreddit. It has a spoiler syntax. If you let me know which level you are stuck at there, including how far you managed to get in the level, I can provide hints there. Man, you thought this stuff out. I do want more time at the moment before a hint as well. Working on 10 and 11 now. Great Music too! I would say the best I have seen(or heard) on Pico8. Thanks. All credits for the music go to my brother. He's the musical one out of the two of us. Anyway, it seems you've gotten pretty far on your own already. Good luck with the remaining ones! So close! 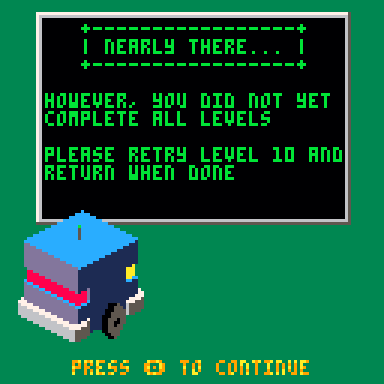 Level 10 is hard with that last bot chasing you and not much wiggle room. Wow, you're getting close. Well done for getting this far already! Do you want a hint for level 10, or not yet? Okay, sure. I am posting the question on the reddit thread. So close and yet so far. I am beaten. I can not find the solution. Well, Amazing game! I enjoyed it anyway. In case you are curious, I have added another hint in the Reddit thread. Btw, I had meanwhile forgotten the solution myself, and it took me several attempts to find it again. This is a hard puzzle indeed!